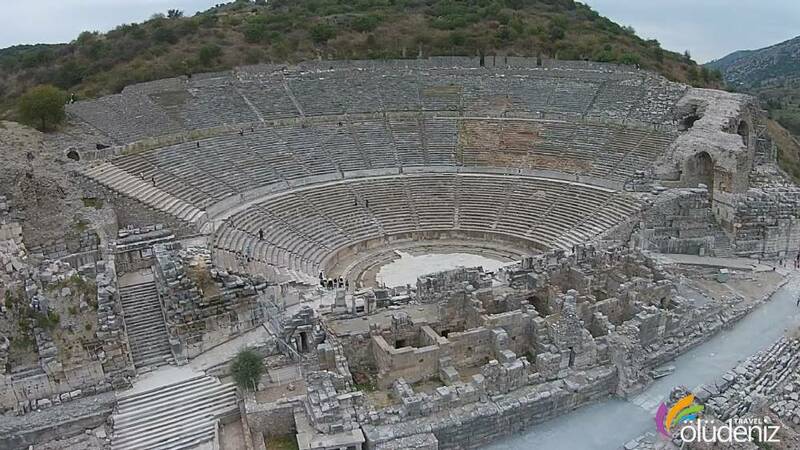 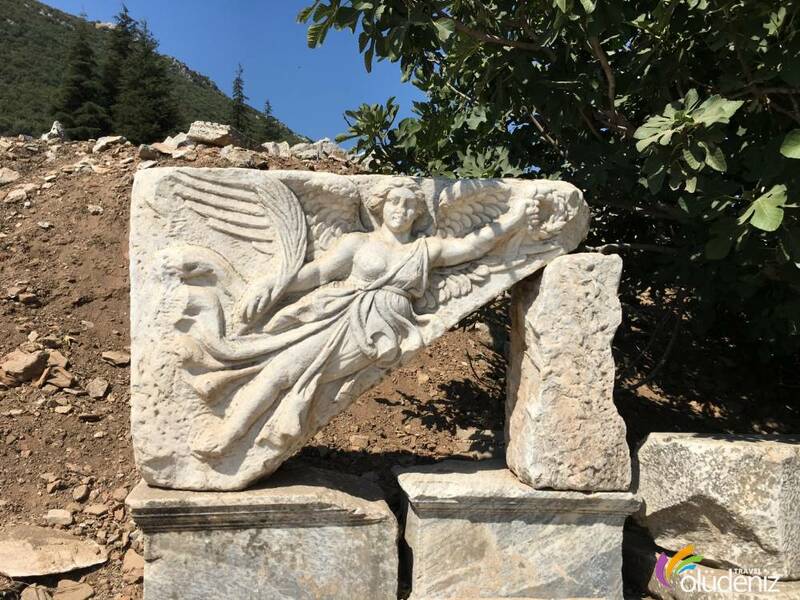 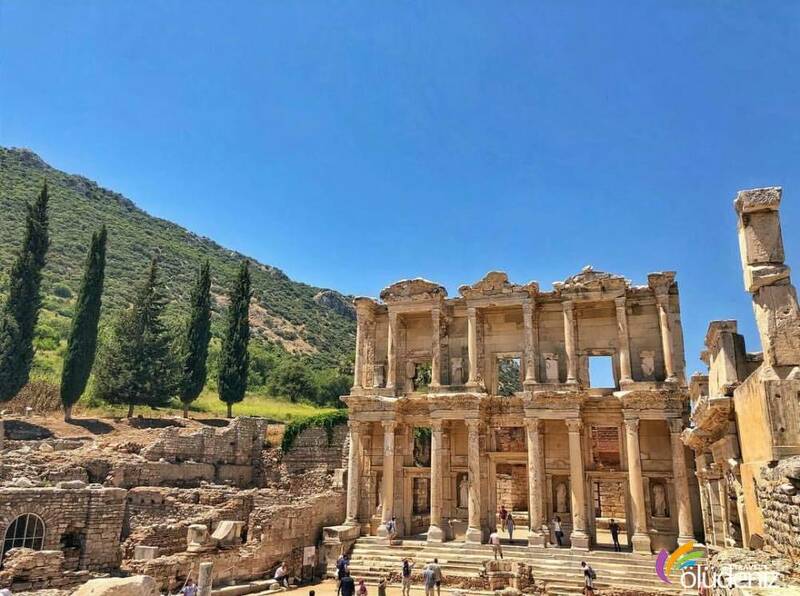 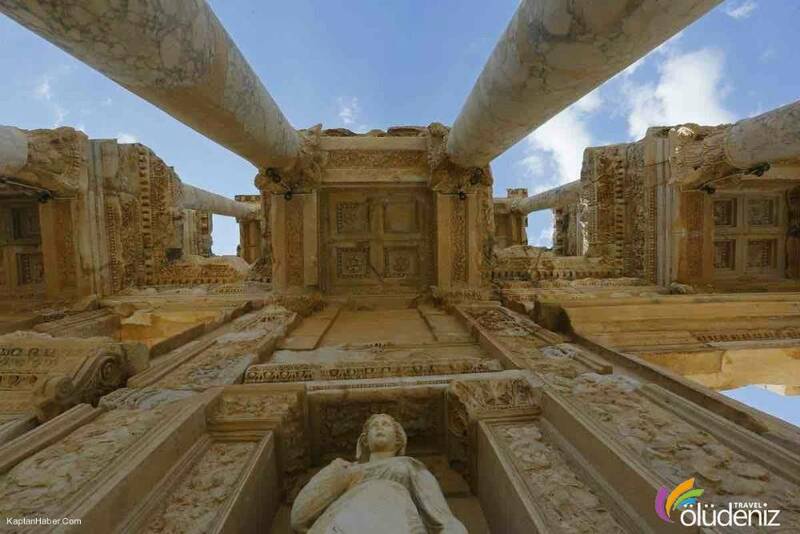 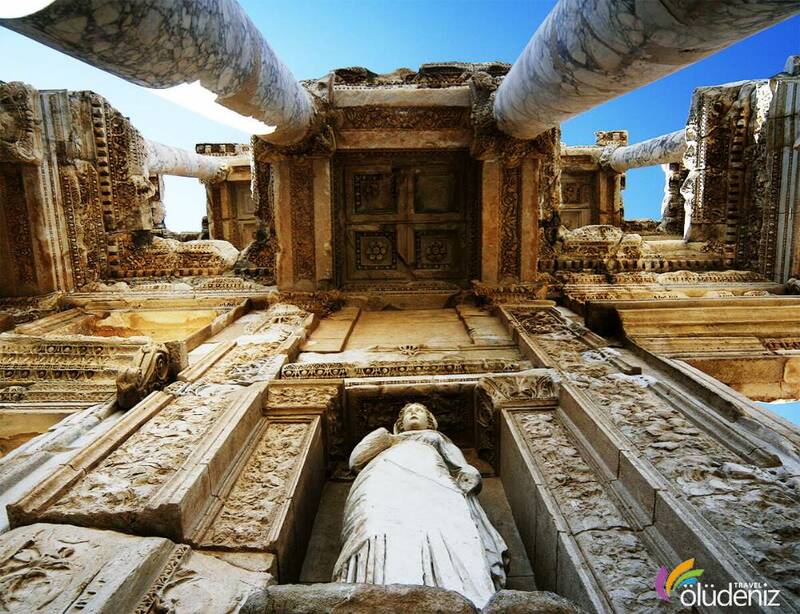 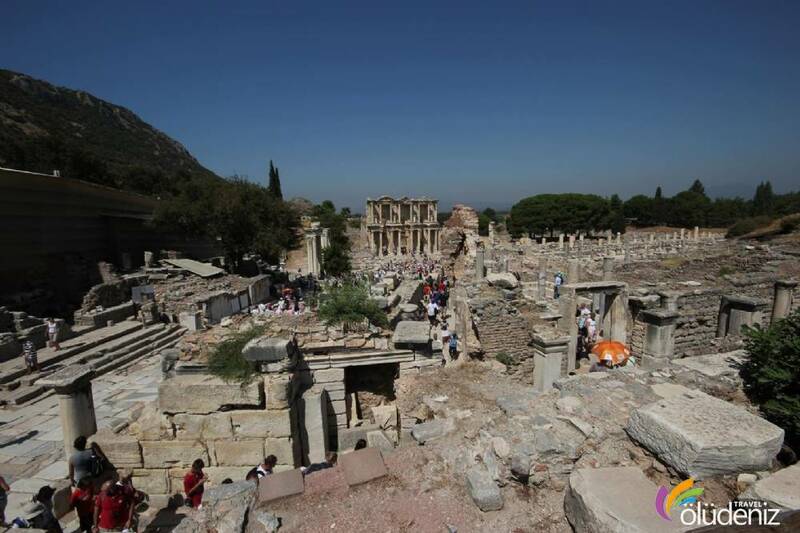 The Ephesus and Pamukkale tour which is one of the most inclusive tour of us with its historic and natural facilities, takes 2 days and a night. 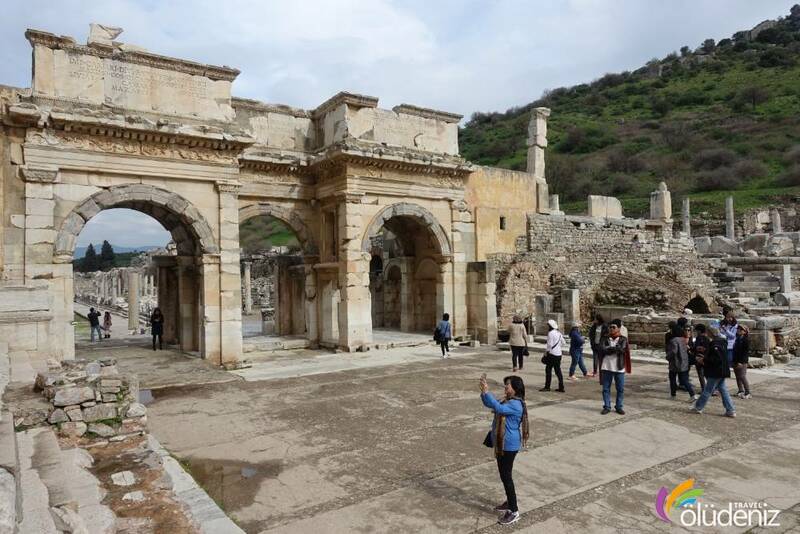 After the breakfast, we reach Ephesus Ancien City at the end of 3 hours of driving.Ephesus which is one of the greatest 12 cities of Ionia, became a city of the Romans upon their conquest. 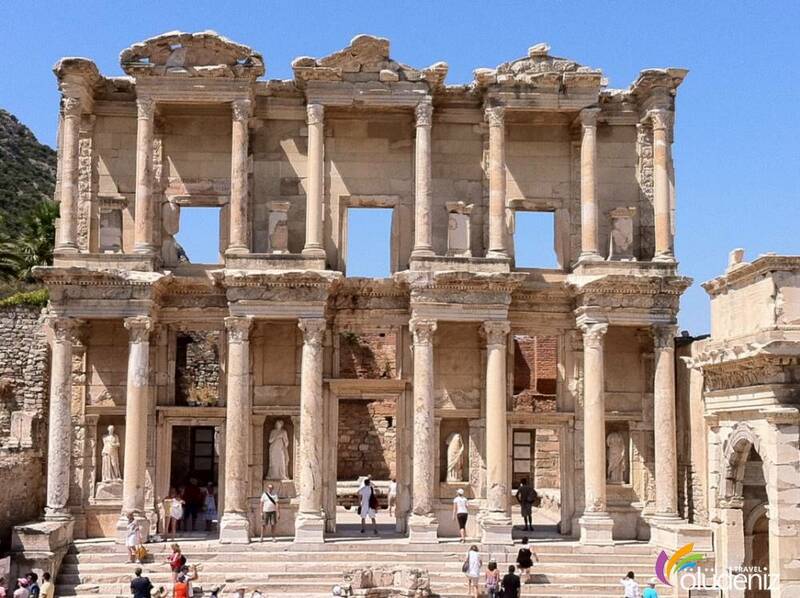 It is known that the city has developed greately during the Roman era. 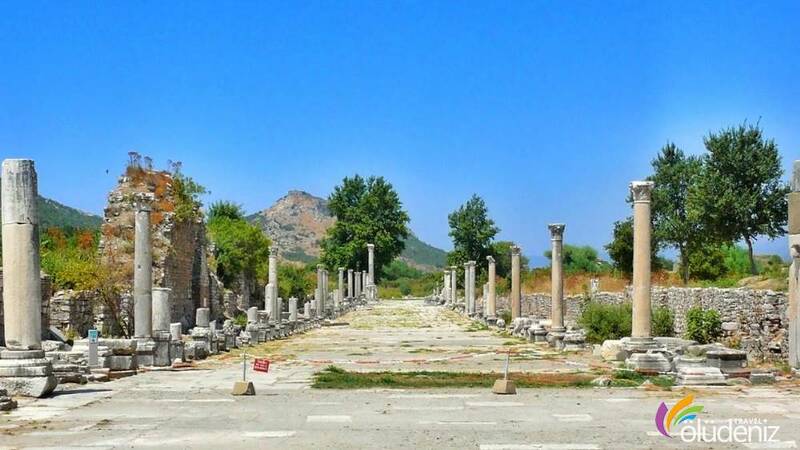 The harbour city where the emmigrants from greece used to live, was settled around Artemis Temple. 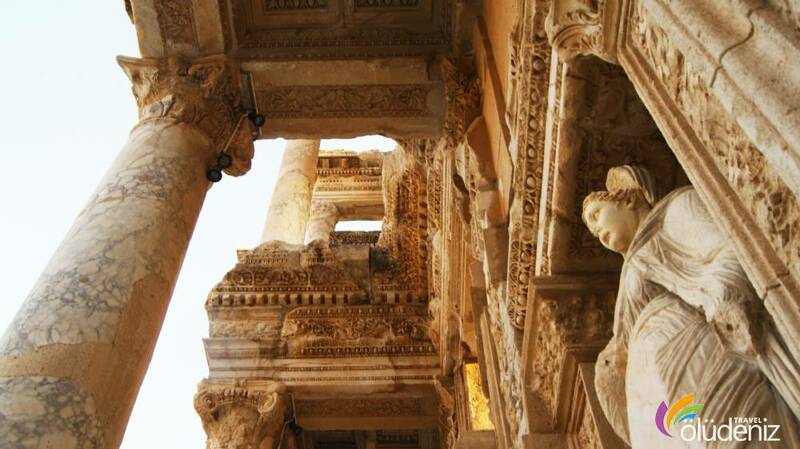 The heydays of the city were during the hellenistic and the roman era. 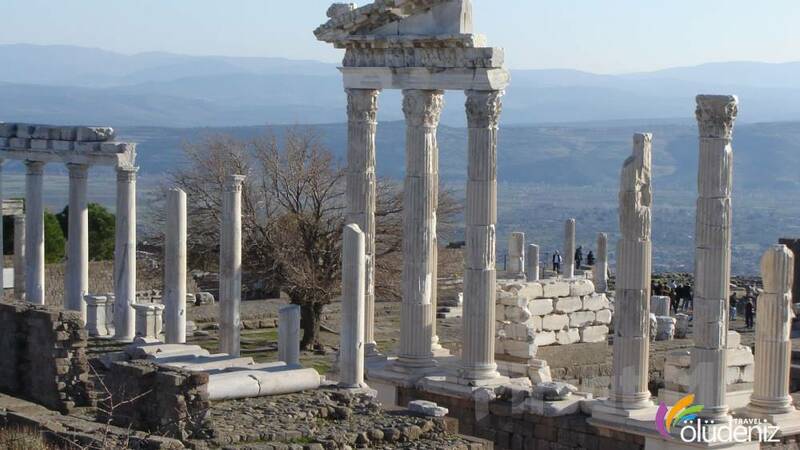 In the first and second centuries B.C., the city became the capital of the Asian state and its population surpassed two hundred thousand. 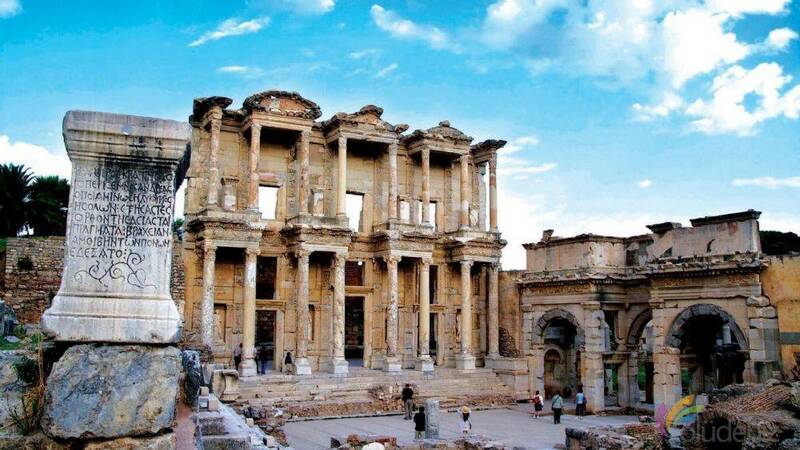 Moreover, Ephesus is the pilgrimage center for christians. 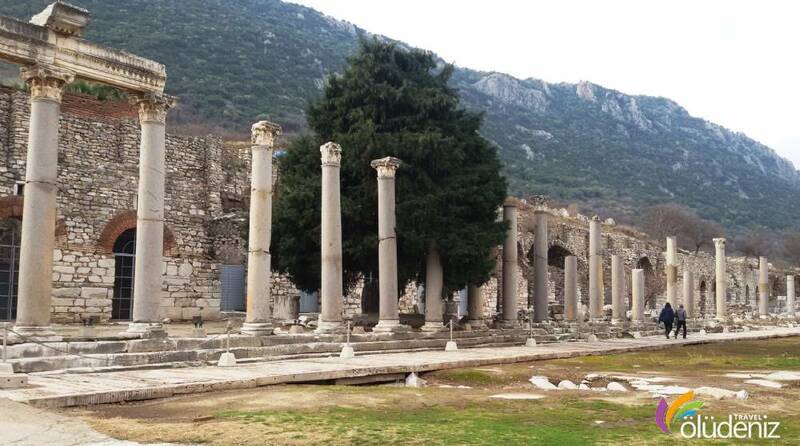 With its historic sites such as Virgin Mary’s Church, the islamic architecture of the Beylik sera, Ephesus hosts a unique history of religion. 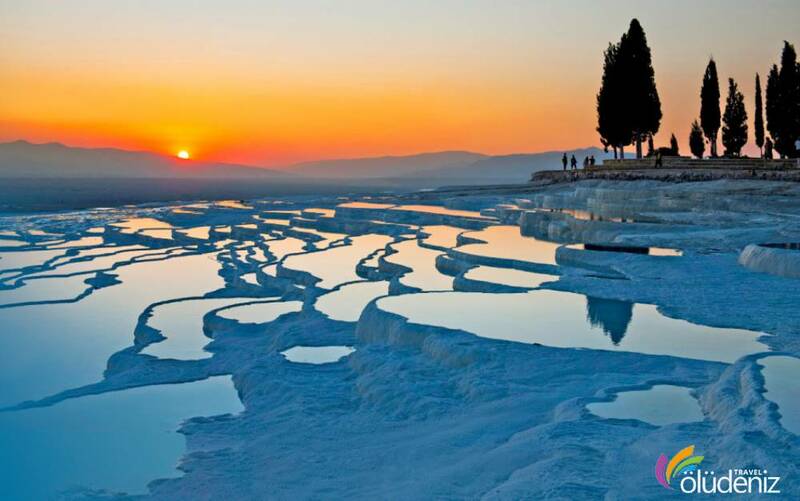 At the end of the tour, we reach our 4 star hotel, after 3 hours of diriving. 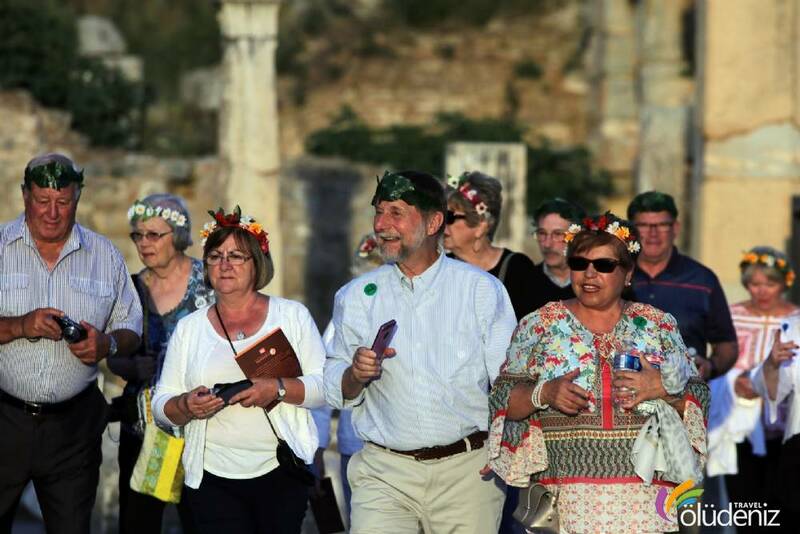 We complete the tour with an open buffet dinner. 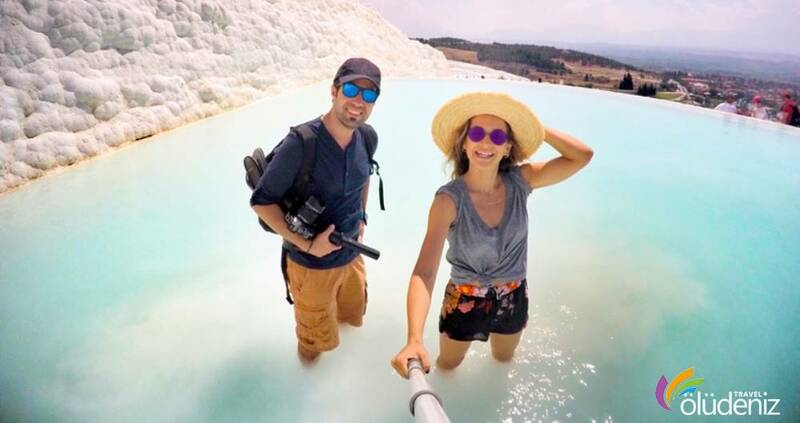 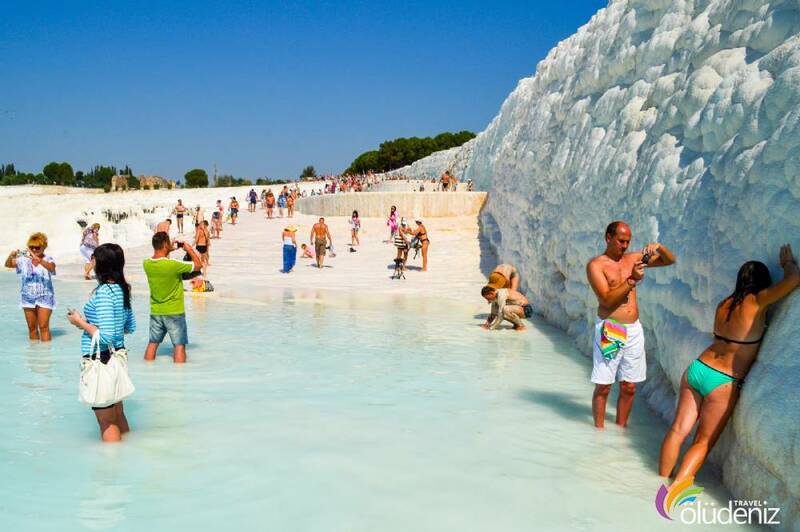 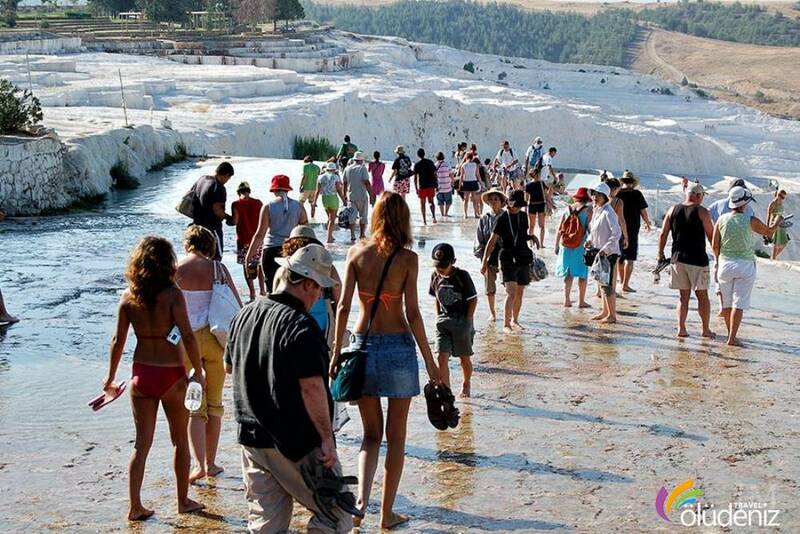 On the second day, after the breakfast, you can take many photos of Pamukkale Hierapolis and the ancient roman bath. 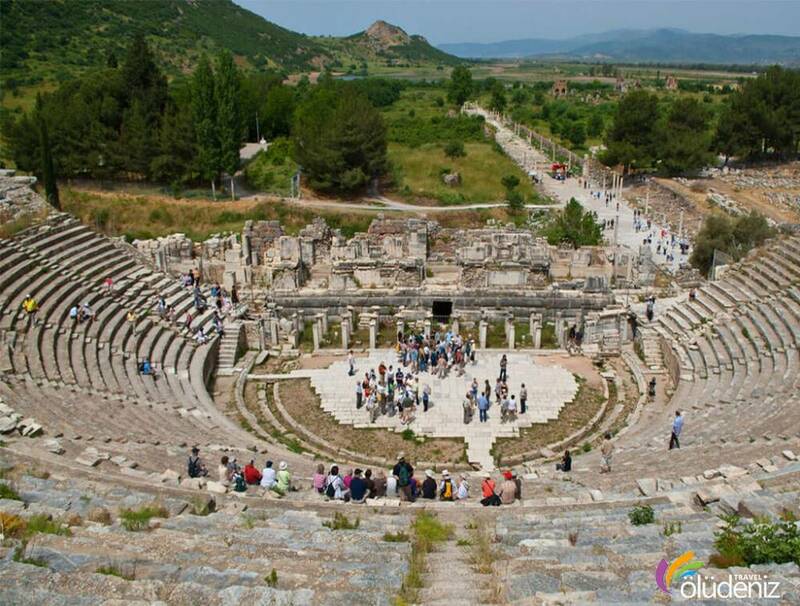 The natural miracle beauty of the ancient city’s travertens fascinates the visitors. 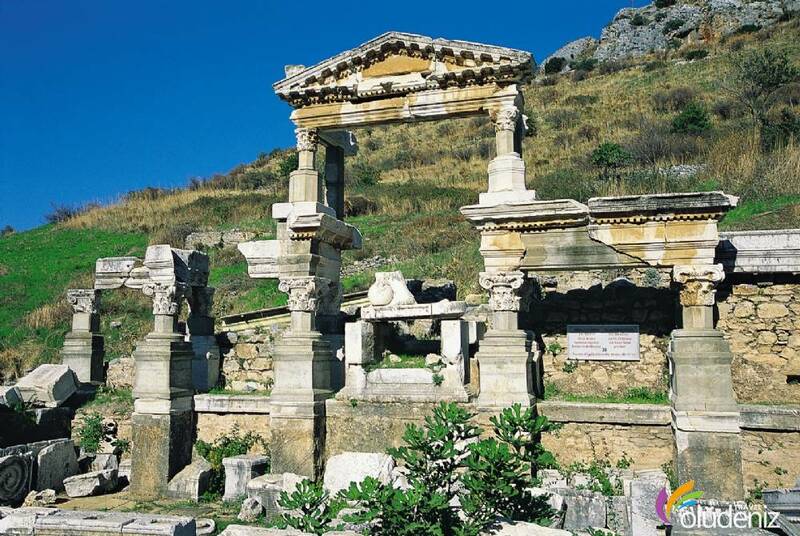 The travertens which have become a center of culture and tourism, are World’s heritage of Unesco. 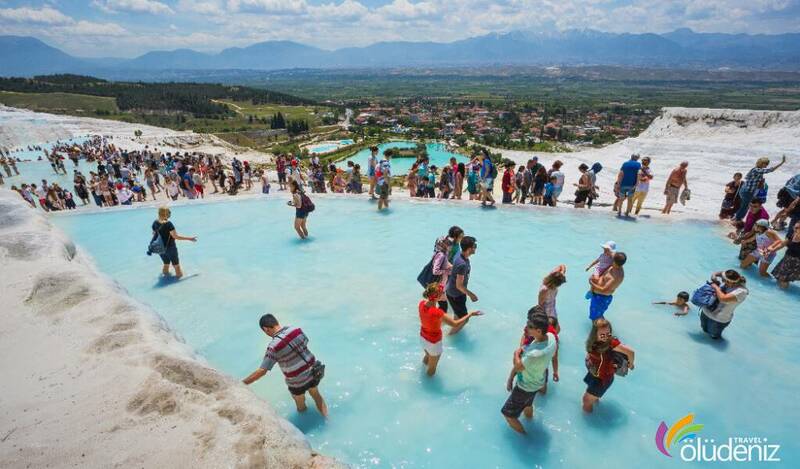 The hot water springs of 36 degrees Santigrats, contains high amount of calcium hydro carbonat which causes the formation of travertens. 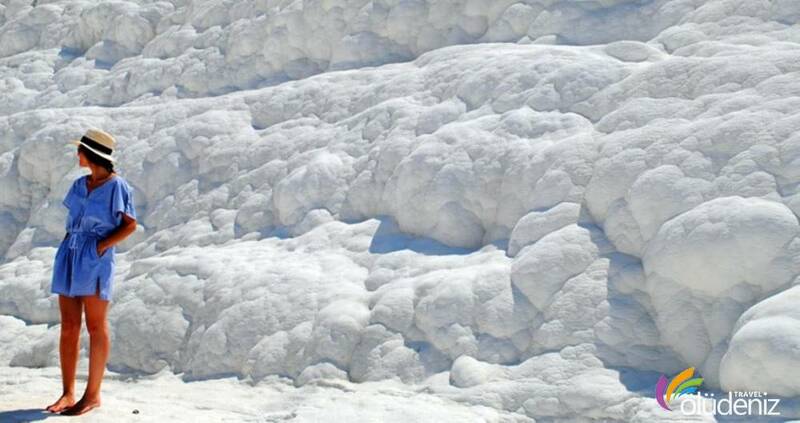 Those white travertens which resemble clouds, caused the naming of Hierapolis as Pamukkale (the white fortress). 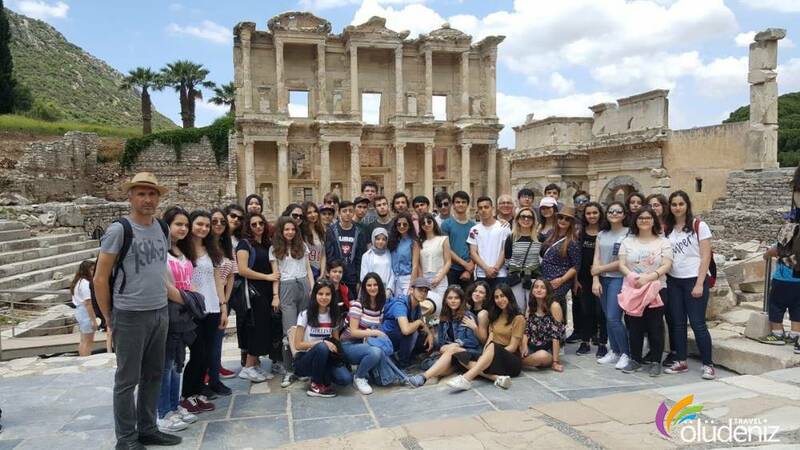 After touring Pamukkale and the lunch, we set off for returning. 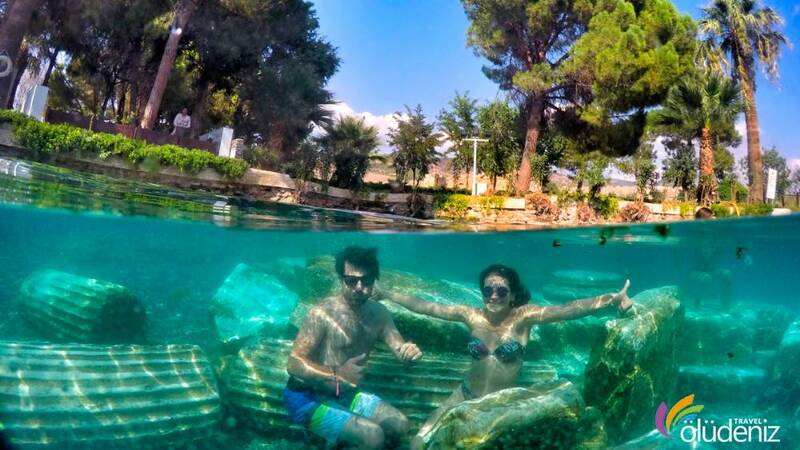 We leave you back to your hotels and say goodbye until our next tour. 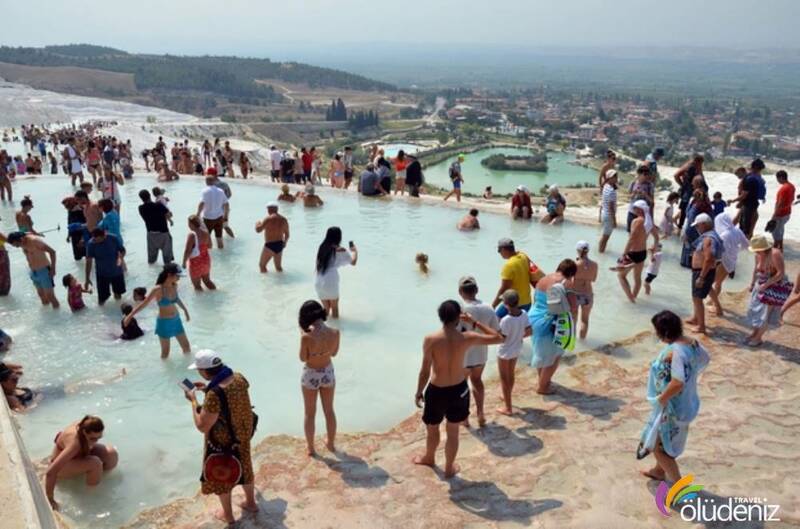 Note : You can demand special tours for couples, families and groups. 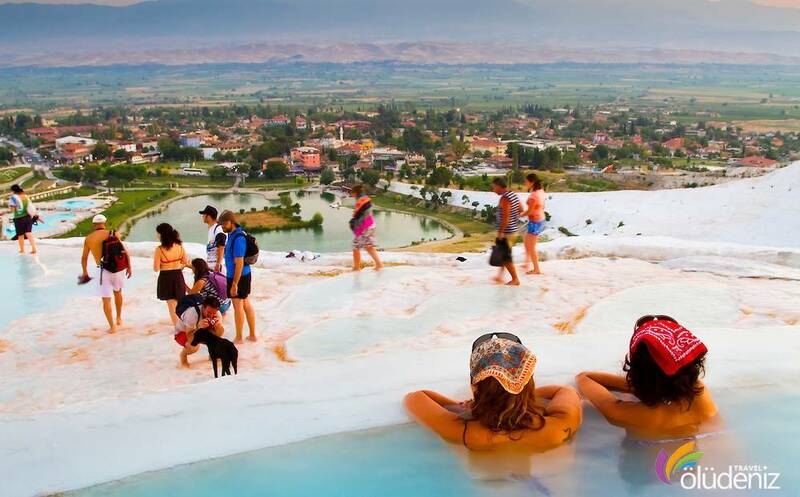 What should I take with me while going for Pamukkale ? 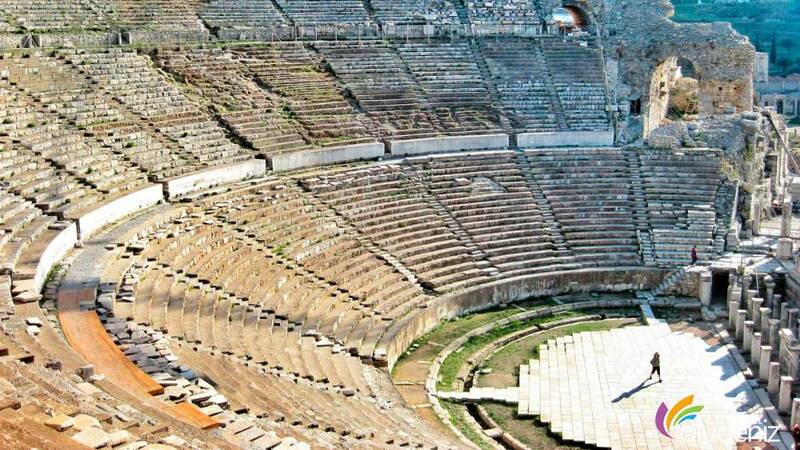 Since the tour takes two days, you can take your night clothes and the most importantly your camera. 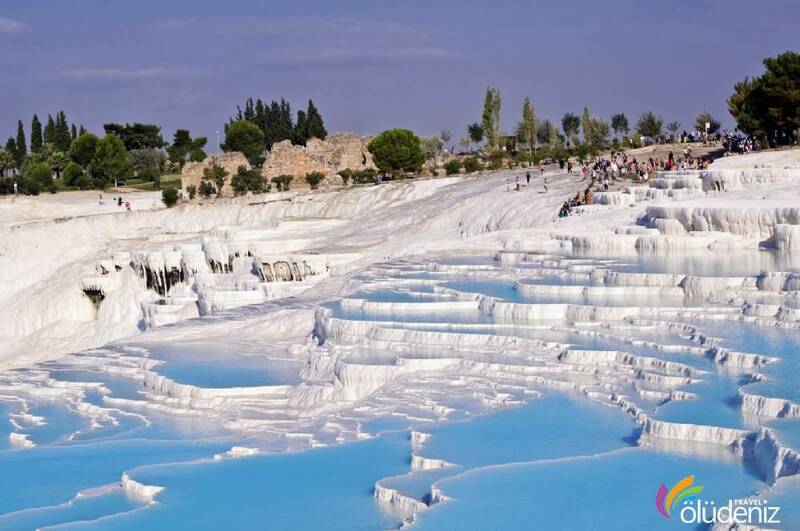 What are the specialities of the hotel that we would stay there ? 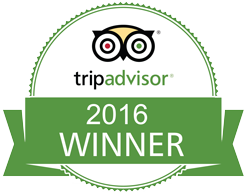 In accordance with the densit of the season, we stay in a three or four star hotel.